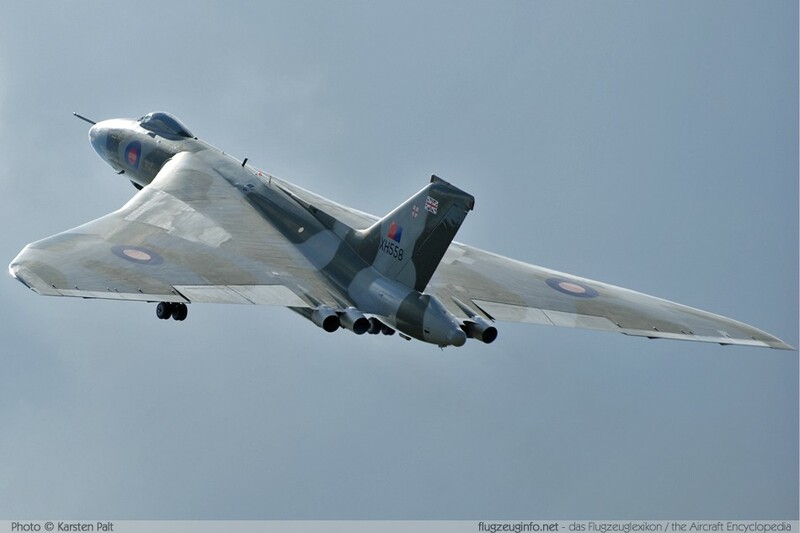 The AVRO 698 Vulcan is a four-engine delta-wing subsonic long-range strategic bomber aircraft produced by the British manufacturer AVRO, A.V. Roe and Company. The Vulcan was one of the three V-Bombers (Vulcan, Valiant und Victor) of the Royal Air Force.The AVRO Vulcan was the world's first operational delta-wing bomber aircraft. After their service as a bomber six Vulcan have been converted to Vulcan K. Mk 2 tanker aircraft.